The leaders of the Internet2 Metaverse Working Group tell us what's new and where we're heading in the world of virtual reality. 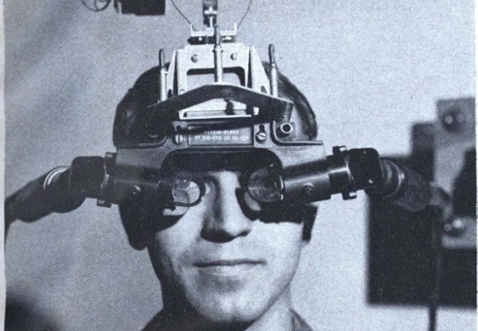 VR accessibility on the rise — 12 million head-mounted displays shipping this year. Internet2 provides the high-speed network bandwidth required for VR collaboration. Metaverse working group is leading the effort to establish VR standards and interoperability. When we last spoke to Chris Collins and Ben Fineman about their favorite topic, Virtual Reality (VR), we learned the technology was finally beginning to hit its stride. We caught up with them at the Internet2 Global Summit in Chicago to see what’s developed in the VR space, and what Internet2 and the Metaverse Working Group are doing to advance the technology. What is the latest and greatest in VR? Ben: In 2016, manufacturers project they will ship 12.2 million head-mounted displays (HMDs), so that kind of availability of a high quality, VR immersive experience is what’s different today. User-developed content is also now available in the ‘wild,’ and we are starting to see more polished virtual reality applications coming out. On the cutting edge of things, the augmented space continues to heat up. 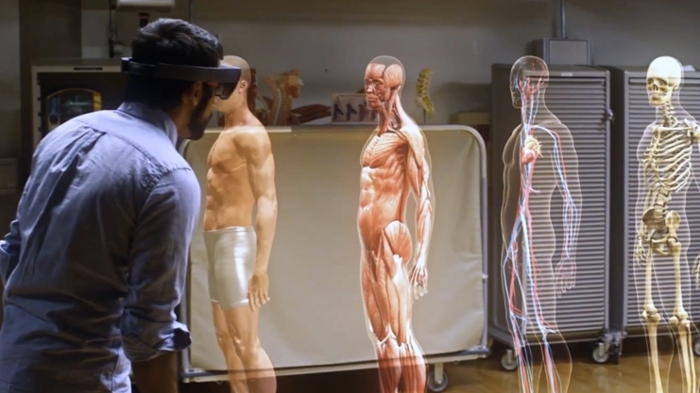 We see more HoloLens demos from Microsoft which starts to get to the collaborative promise that we have been talking about for a while. What is driving the surge in VR popularity? Chris: With the commoditization of cell phone components, things have gotten smaller, lighter, cheaper, faster, and that’s really driving the price range of these head-mounted displays (HMD) to something that’s more consumer friendly—instead of $15,000 it costs $500. We are seeing so much more competition, so I’m really excited because I think we’ll get better technology, and I think that’s very good for the ecosystem. Bringing the hardware price point down means we can afford to bring it into the classroom and the laboratories on campuses so that we can democratize the creation of the content. Tell me about the collaborative promise of VR for research and education. Chris: Right now every engineer, every architect — anyone who’s doing any kind of scientific modeling — is doing it as if in a ‘single player experience.’ They can send you a file of a model to open and look at it – but we can’t go in and look at that model together. The entire scientific community is still operating in that space. Ben: That’s right. Even VR experiences today are relatively siloed and separated, similar to where we were with computational data before the World Wide Web. Computers were separated, and if you wanted to get the data from someone else’s computer, there was no standard ecosystem by which to browse from one computer to another. Of course, that problem was eventually solved by the advent of the World Wide Web. We need that same kind of revolution for virtual environments, and that’s really the idea behind the Metaverse initiative: Promoting standards and interoperability for distributed virtual environments so that we are not segregated into siloed experiences and we can really collaborate seamlessly across devices and across organizations in the virtual space. Of course there will be commercial applications that enable cross-organizational collaboration in virtual reality, but our concern is that will happen in a proprietary way. We want to ensure that the standards and interoperability are encouraged and implemented so that these experiences are not siloed to individual platforms or providers. What is the role of research and education networks like Internet2 and ESnet in VR development? Ben: One of the reasons we haven’t yet seen high-quality streaming live VR video is because of the bandwidth that it requires. We get streaming high definition video today because it has been commoditized and the compression protocols have been refined. 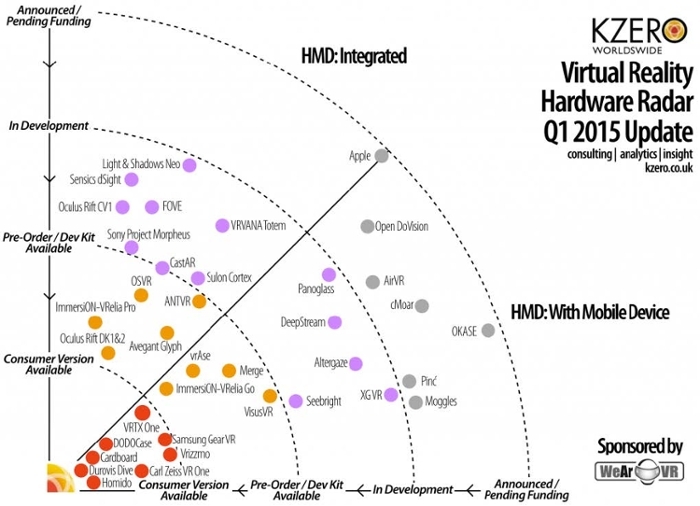 But with 3D, immersive, 360° VR content, those optimizations don’t yet exist. So that’s a role Internet2 can play. Our members and connected institutions have this robust bandwidth and can start to experiment with content even before the commodity compressions have been developed. What’s got you excited for the future? Ben: What I’m excited about VR is actually getting to the place where you really feel like you are together with someone who is in a remote place. I truly do believe that when you have that level of psychological connection it increases the efficiency and efficacy of collaborative experiences in a meaningful way. I’m also excited about enabling collaborative experiences we haven’t even considered yet. We are hung up on recreating this experience of sitting across the table from each other, but what if there are better ways we could collaborate? For instance, in the sciences if you are talking about a new particle you’ve discovered maybe you can enlarge that particle up to the size of the room and go inside it and walk around in it together. I don’t know what the possibilities are — and that’s what’s really exciting to me. Chris: We used to joke that it wasn’t until the third or fourth year that users began to think: ‘Okay, now that I’ve had everything that I could ever want virtually, what I can do in VR world that I can’t do it in the real world?’ And it isn’t until someone reaches that point that you start to explore the real potential of the media. I think we do not know yet where VR will take us. If I’ve learned anything in the last 10 years working in this space, it’s that the real limit is our imaginations. It may take some time before we go beyond that. Chris Collins — founder and technical lead for Center for Simulations & Virtual Environments Research at the University of Cincinnati.